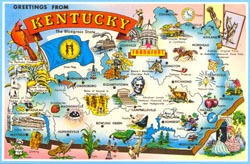 Theres more to the great state of Kentucky than the Kentucky Derby, Hot Browns, The Wildcats, and the NASCAR track. There skydiving! If you live near Louisville, you’ll have the easiest time getting to a dropzone. If you don’t, you might want to check out the dropzones in Indiana, Ohio, or Tennessee.